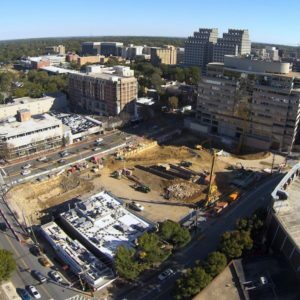 The construction phase of the Marriott International Headquarters development site is underway. Equipment and material deliveries, environmental and safety controls, excavation, hauling and drilling operations continue as trucks enter and exit the site along Woodmont Avenue. Over the next few weeks, we anticipate a considerable increase of trucks entering and exiting the property. A careful phasing plan is being implemented to ensure the process runs smoothly and to reduce any potential for traffic disruptions. We are aware of some parking meters surrounding the property that have remained bagged unnecessarily, rendering those parking spaces unusable. Representatives from the Bethesda Urban Partnership will coordinate with Montgomery County officials to monitor and ensure these parking meters are appropriately bagged (or un-bagged) to maximize available parking spaces. 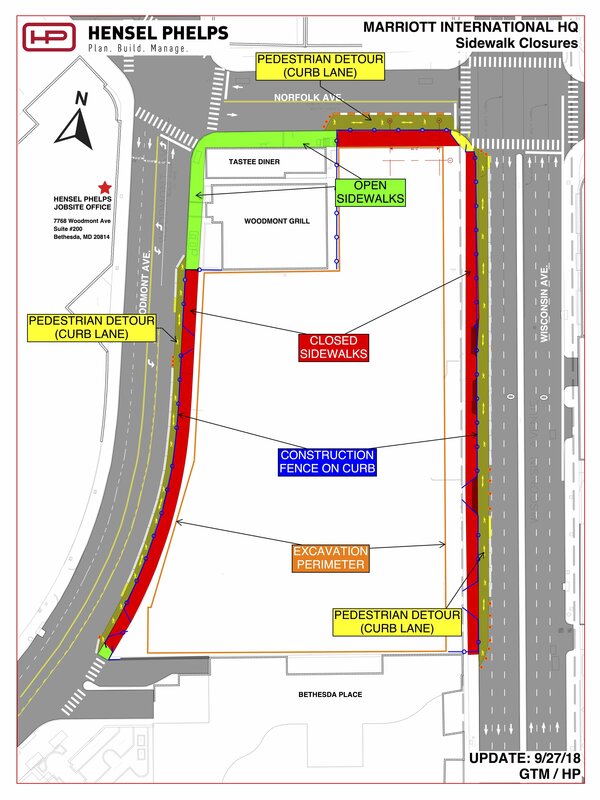 We remind residents and businesses in the surrounding areas that there are several other unrelated projects underway near the Marriott development site, including work being performed by WSSC, Washington Gas, Pepco, Maryland State Highway Administration and their third-party contractors. We are aware of a few reported disruptions to nearby residences and businesses; however, these disruptions are completely unrelated to the Marriott project. Any anticipated and scheduled disruptions or outages required for the Marriott project will be expressly communicated with all stakeholders beforehand. Outages will be announced via these emails, as well.